The GCRF GlobalSeaweedSTAR team has an internationally unrivalled expertise in algal biology, aquatic pathology, disease and pest taxonomy, biosecurity and policy development, to provide a unique opportunity to build research capacity in developing countries and the UK. SAMS is one of the UK’s leading marine scientific institutions. In 2013, SAMS became an Associate Institute of the United Nations University (UNU), firmly placing it as an international centre for marine research. Since 2000, it has forged a major role in seaweed disease research and marine biosecurity through Oceans2025, EU COST and Marie Curie Training Fellowships and UK initiatives, such as the NERC International Overseas Fund. Programme Leader – Dr Elizabeth Cottier-Cook is a leading international expert in marine invasive species and biosecurity. She has considerable leadership experience, currently coordinating a five year Erasmus Mundus Joint Master Degree in Aquaculture, Environment and Society and has recently taken part in the NERC Growing New Leaders initiative. She leads the UNU-SAMS Associate Institute, is the Co-I in a NERC International Opportunities Fund programme – GlobalSeaweed and was the lead author on the recent UNU Policy Brief. She has published 20 ISI-cited peer-reviewed articles in the last 5 years and has extensive media experience. Her role will be to coordinate GCRF GlobalSeaweed* and to lead the WP2 on biosecurity. Cefas is based in the UK and is a world leader in marine science and technology. It collects, manages and interprets data on the aquatic environment, biodiversity and fisheries. Cefas is an executive agency, sponsored by the Department for Environment, Food & Rural Affairs and as such, will be part of this programme as a Sub-contractor. Prof Grant Stentiford is a Principal Scientific Officer, Team Leader of the Pathology and Molecular Systematics Team (Cefas) and is the Director of the European Union Reference Laboratory for Crustacean Diseases. His work focuses on aquatic species pathology and is based upon histopathology, transmission electron microscopy and molecular (PCR, QPCR, NGS) systematics for the classification of novel and emerging diseases. He has international experience in the diagnosis of disease in experimental, farmed and aquatic species. He has published extensively and was elected to Fellow of the Royal College of Pathologists (FRC Path) in 2014. His role will be to lead WP1 and support WP4. Dr David Bass holds a joint position at Cefas and NHM (Research Leader) and is an international expert on the biology and taxonomy of protists and other microbial eukaryotes, molecular ecology, in particular eDNA, and microeukaryotic parasites. He is President of ProtistologyUK, President Elect of the International Society of Protistologists, and the expert taxonomist for UniEuk and EukRef. His role will be to coordinate molecular taxonomy and eDNA work at Cefas and NHM for WP1 and assist in WP4. NHM is an international leader in research of the natural world. It curates >80 million specimens, generates >5 million museum visits, >8 million web visits and hosts over 10,000 scientific visitor days per year. It collaborates with researchers in over 100 countries, has ~165 externally-funded projects delivering research/training outcomes, and 80+ full-time PhDs and PDRAs. It has first-class Molecular Laboratories, including next-generation sequencing equipment with dedicated bioinformatic support. Prof Juliet Brodie is an international expert in seaweeds, including genomic approaches to macroalgae and microbiomes, taxonomy and phylogenetics. She has over 30 years’ taxonomic experience and her research includes next generation sequencing for gene discovery, microbiomes and population genetics of macroalgae. She has worked extensively in developig countries and she has published 26 ISI peer-reviewed articles in the last 5 years, held 3 presidencies of learned societies. Her role will be to support WP1 and WP3. ODI brings together high quality applied research, practical policy advice, and policy-focused dissemination and debate. ODI works with partners in the public and private sectors, in both developing and developed countries. It has experience in developing practical tools, skills and competencies for policy influence and has worked extensively on monitoring and evaluation, communicating evidence based policy, gender and environment research in developing countries. Louise Shaxson is a Senior Research Fellow at ODI, she has 25 years’ experience working in the UK and internationally (e.g., World Bank, DFID, the European Commission and UNDP) and currently manages the Evidence and Policy Group for the £25m DFIDESRC Growth Research Programme. Louise has published extensively on the relationship between research and policy and the factors influencing evidence-informed policymaking. Her role will be to lead on the WP4, in collaboration with Cefas and SAMS. UDSM was established in 1978 and conducts research and offer post- and undergraduate training and consultancy services in all aspects of marine sciences. UDSM has 22 academic/research members of staff and 25 administrative and technical staff. UDSM is working with famers and extension officers in different areas of aquaculture, including seaweed farming in Tanzania. Dr Flower Msuya is a Senior Researcher at UDSM and world class seaweed farming and innovation expert. She pioneered seaweed farming in southern Tanzania and has worked with seaweed farmers, export companies, government, UN FAO and she leads the Zanzibar Seaweed Cluster Initiative. She is a member of the International Seaweed Association Council. She has published extensively and her role will be to recruit ECRs, coordinate the research work (WP1-4) and to organise the SBP event in Tanzania. 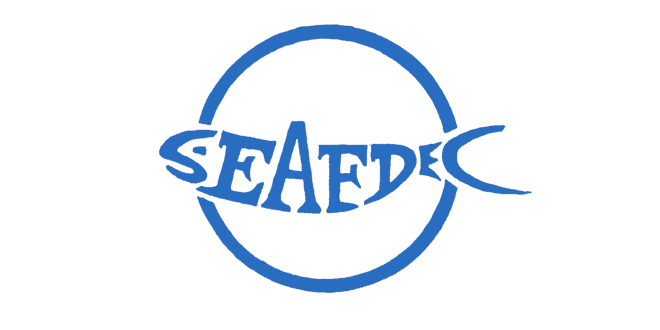 SEAFDEC/AQD has almost 3 decades of experience in seaweed aquaculture, promoting sustainable practices and accelerated technology transfer though partnerships with fish farmers, investors, entrepreneurs, government agencies, academic and funding institutions. Prof Anicia Hurtado is a Senior Scientist working with SEAFDEC/AQD with over 20 years’ experience in seaweed cultivation. She has worked with the FAO, local government and NGOs. Her research focuses on new strain development and mitigation measures for pests. She has published extensively and has been involved in delivering local and international training programmes. Her role will be to recruit ECRs, co-ordinate the research work (WP1-4) and to organise the SBP event in the Philippines. Institute of Water, Environment and Health – United Nations University, Canada acts as the “UN Think Tank on Water” and contributes to the resolution of the global water challenge through a unique programme of applied research and education. It conceives, develops, and manages water initiatives that help developing countries build their capacity for lasting improvements in human and ecosystem health, and overall reduction in poverty. Dr. Nidhi Nagabhatla is a Programme Officer with UNU-INWEH. She holds a Master’s degree from the Indian Council of Agriculture Research (Pantnagar University), and a Ph.D. (2005) from University of Pune and Indian Space Research Organization (ISRO). She obtained a working Ph.D. degree while serving as a scientific staff of ISRO’s Research Institute and implementing a national-level program in small island systems. Owing to her deep interest in a rights-based approach to sustainable development, she undertook post-graduate study in International Humanitarian Law study from National Academy of Legal Studies and Research (NALSAR, India). Prior to joining UNU-INWEH, Dr. Nagabhatla served on various positions and assignments with diverse international institutions such as The Consultative Group for International Agricultural Research (CGIAR); The International Union for Conservation of Nature (IUCN); The Climate Center of the Asia Pacific Economic Cooperation (APCC) – South Korea; and with academic institutions in Germany and the United Kingdom. Her geographical experience spans the South Asian, South-East Asian, Western Europe, and South African regions. Dr. Nagabhatla currently serves as the Chair of Steering Committee Board of YPARD – an international movement for Young Professionals in Agricultural Development hosted with Food and Agriculture Organization (FAO) of the United Nations, Rome, Italy. She also serves as a Task Force expert with Intergovernmental Science-Policy Platform on Biodiversity and Ecosystem Services (IPBES). Dr. Nagabhatla has over 100 publications to her name that includes peer reviewed scripts, research reports, book chapters, conference publications, and popular articles.